Most people have heard about the Snake (Amaru), Cougar (Puma) and the Condor (Kuntur) which accompany the cosmology of the Andes and the three corresponding levels of spirituality. The Snake belongs with the Uju Pacha, which is the underworld; the Puma belongs with Kay Pacha which is our world, and the Condor goes with Hanaq Pacha which is the upper world. There are many stories and interpretations regarding these animals and the worlds they inhabit. 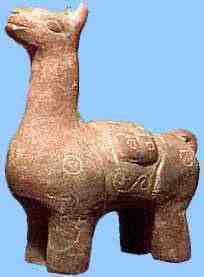 However, a lot of people may not realize that the Llama is also one of the most sacred animals in the Andes. 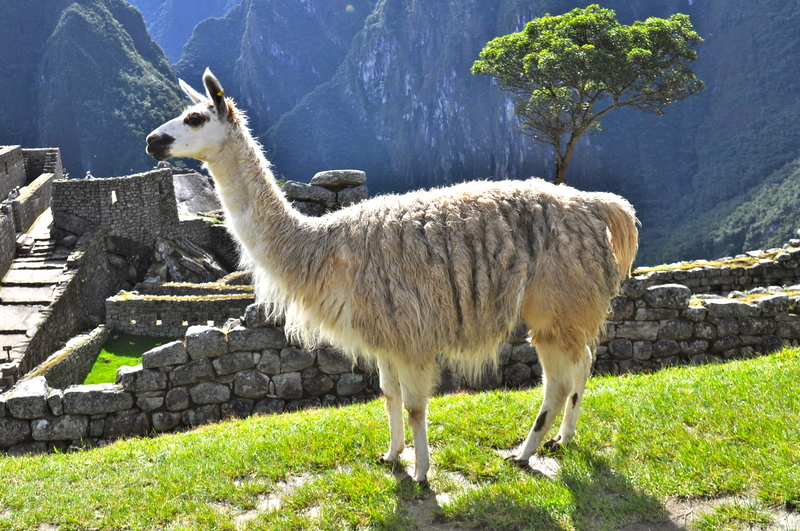 The Llama or Qarwa, as they say in Bolivia is an animal that provides spiritual help for people. 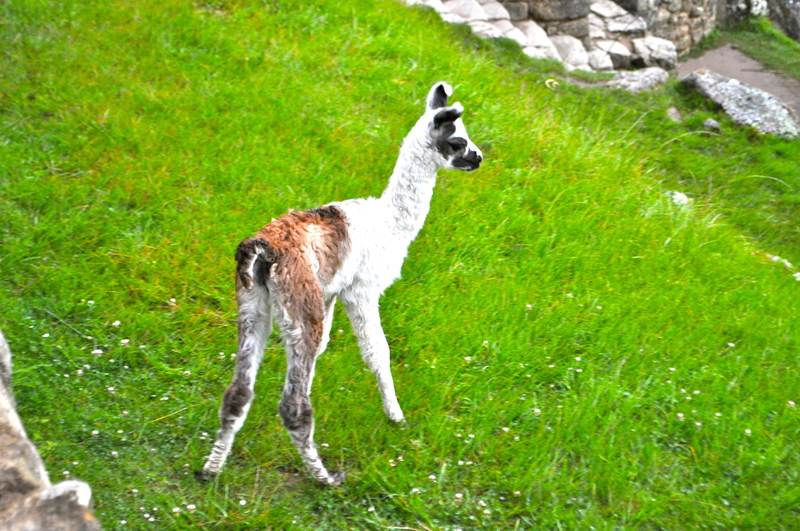 To begin with, llamas are adorable! They are also extremely hygenic in their habits, as they all defecate in one tidy place. They have big eyes, an admirable quality which represents their ability to see many things. The llama is a very social animal that likes to stay with its family. However, if there is some danger or if, for example, they want to protect a mother who is birthing, they will form a circle around, to protect it. 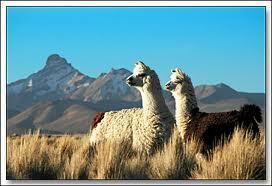 The llamas live high up on the sacred mountains, the Apus. The Apus are the mountains that hold spirits of light within them. These spirits live in both the middle and upper worlds and can intercede and help humanity so, they are often called upon by the people for help. The peaks of the Apus are the closest land to God and the heavens. 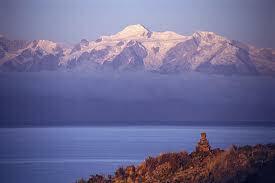 Since the llamas live on these high mountains, they hold the energy between the land and the mountain spirits. They can act as guides for the soul’s journey to the upper world. Traveling through the Andes mountains, one passes through many portals. The llamas are the guardians of these portals to the higher realms. They are also collectors of energy. When they eat the grasses of the high mountains, that spiritually strong energy is stored in their wool. Llama wool is highly prized for this reason. Many of the Andean sweaters and hats have the design of a llama on them, because it represents the spirit guide nature of the animal and the help that we can receive from it. When traveling to the Andes, be sure to go to the market and buy at least one item with a llama to bring back home with you. You will find that it provides great comfort.